Oh, Dear! is a light pink crelly with red-gold unicorn shimmer and ultra holo glitter. Shown is three coats plus top coat. The Wonderful Thing About Tiggers is a pastel cantaloupe crelly with green-gold unicorn shimmer and ultra holo glitter. Shown is three coats plus top coat. Silly Old Bear is a pastel yellow crelly with pink-gold unicorn shimmer and ultra holo glitter. Shown is three coats plus top coat. What to do? What to do? What to do? 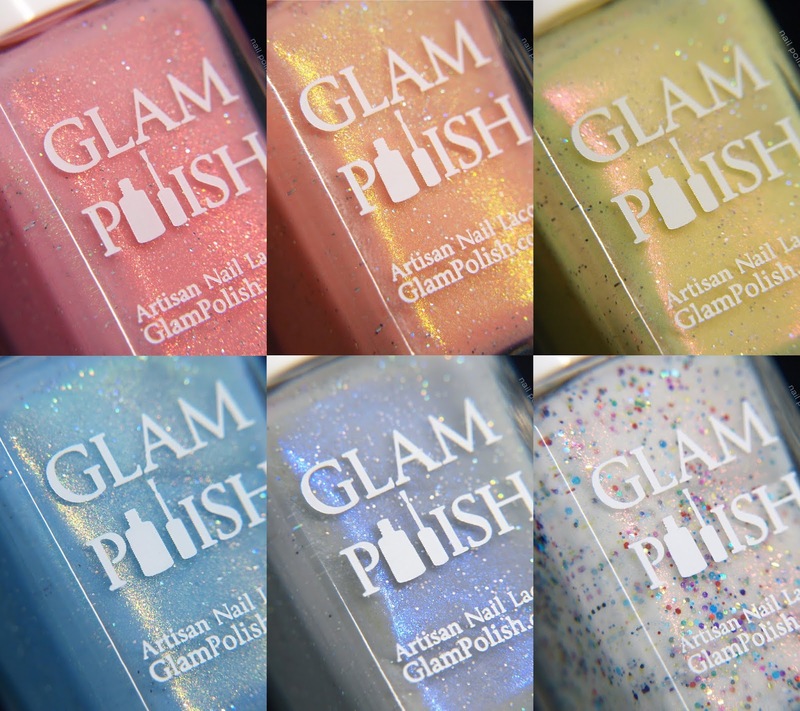 is a light blue crelly with green-gold unicorn shimmer and ultra holo glitter. Shown is two coats plus top coat. Just An Average Windsday Morning is a light gray crelly with indigo-sapphire unicorn shimmer and ultra holo glitter. Shown is three coats plus top coat. Heffalumps and Woozles is a white crelly with red-gold unicorn shimmer and mini glitter mix. Look how adorable those glitters are! Shown is three coats plus top coat.